"A BIT OF INSPIRATION FROM KEN AVERY"
For die hard college football fans discussing their favorite topic, the question “Which college team led the nation in total defense more times than any other in the 1960’s?” would be an enjoyable excuse for discourse about a decade in which defense stood out. Acceptable answers could be “Alabama of course”, “Maybe Arkansas”, or even “Michigan State I think.” Alabama, known for its rugged defense, Leroy Jordan, and a philosophy that placed its best athletes on the defensive side of the ball was the National Champion team a number of times. Not surprisingly they led the country in both total and scoring defense in 1961. Arkansas was another National Champion and they played Texas in the 1969 version of The Game Of The Century. While almost every fan knows that Jimmy Johnson and Dallas Cowboys owner Jimmy Jones played on the 1964 National Championship squad, some may not be aware that Jim Mackenzie, Barry Switzer and a host of other assistants who later were very successful head coaches also were a part of the great 1960’s Hogs teams. Yes, let’s not forget that both of those Arkansas teams led the country in scoring defense. Charles “Bubba” Smith, the incomparable George Webster, and Charlie “Mad Dog” Thornhill were but a few of the superlative defenders that Michigan State placed onto the field in 1965 and ’66 with the former squad named as National Champs as they led the nation in scoring defense. However, the almost forgotten Wyoming teams of 1960 and 1968 provided two “notches on their belts” as they led the nation in total defense, a fact that may come as a surprise to many fans. Bob Devaney’s 1960 Wyoming Cowboys featured Iowa State transfer quarterback Chuck Lamson who later had a five year career at DB for the Vikings and Rams, and the punishing play of backs Jerry Hill and Mark Smolinski, both of whom had productive pro outings. The 1968 Wyoming team was headed by Jim Kiick and versatile Vic Washington. If among these terrific squads, how surprising is it that Wyoming can twice be the national leader in total defense within the decade that produced such great defensive play? Further, if one was to then learn that it was not Wyoming that had the distinction of leading the nation most frequently in total defense in the Sixties but rather, Southern Mississippi, how surprising and almost unrecognized is that fact? What was at that point in time a “small potatoes” University Of Southern Mississippi football program led the entire nation in total defense three times! The often looked down upon Southern Miss squad was and is officially named the Eagles but the hyperactive defense of the mid-1960’s, a bone-crunching group of human missiles was christened “The Vandals” and they were coached by the super-tough line coach and head defensive assistant P.W. “Bear” Underwood. 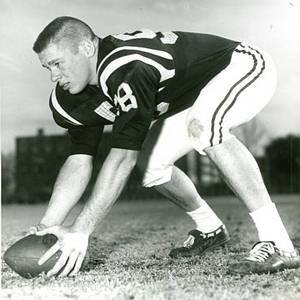 Underwood was recognized as one of the great players at Southern Miss, a former All Service performer that saw action at both guard and tackle where he dominated play from 1954 through 1956. He was often denied his due publicity sharing the line with 6’6” Don Owens who went on to a seven year NFL career but it was accurately stated that Underwood was “a 234-pound slug of fury.” He went to Canada after graduation and starred for Hamilton and was named to their “Fabulous Fifties Team” after playing only two seasons. Following an excellent prep coaching career, he became Southern Miss line coach and “defensive coach” in 1963, under the tutelage of legend Thad “Pie” Vann who compiled a .700 winning percentage at Southern Miss between 1949 and 1968. 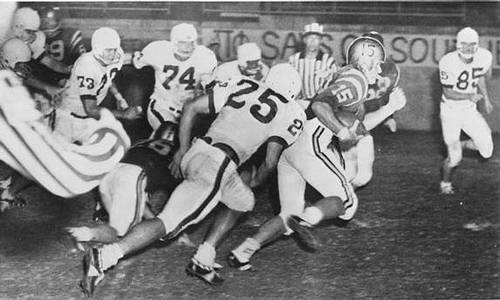 Underwood came to USM at the right time as the NCAA changed their classification from Small College to Major College prior to the 1963 season. Bear and his methods were an immediate hit as the Eagles shut out five of their ten opponents and Underwood’s players were hell-bent-for-leather in their approach to defense. His boys led the country in total defense while ranking highly in other specific defensive areas in 1963, ’65, and ’66. The leader of the 1965 and 1966 units was inside linebacker Ken Avery, a 6’, 215-pounder out of South Dade High School in Homestead, Florida. Noted as the team’s “head-hunter”, Avery joined middle guard Julius “Poochie” Stringfellow, safety Billy Devrow, and developing sophomore defensive end Tom Roussel who later was a starter for three NFL squads in bringing the small school a great deal of recognition. Avery was also one of the early proponents of weight training and looked the part. When these Vandals took the field in their gold helmets with one-inch black center stripe and black player numerals on each side of the shell, they were a fearsome group. After the 1966 season, Underwood became an assistant on the Tennessee staff while Avery joined the NFL as the New York Giants’ twelfth round draft choice and it was then that I met the aspiring pro linebacker. Living but a stone’s throw from the Atlantic Ocean allowed for the opportunity to prepare for every football season with long distance running in the soft sand, sprints up and down sand dunes and in waist deep water, and a lot of surfing. Most of the fellows that I could convince to join me in my punishing, daily conditioning program were the best prepared players on their respective college teams. One weekend I was excited to hear that “one of the New York Giants was at the beach” and you couldn’t miss him. Shorter than expected but packed with muscle, it was rookie linebacker Ken Avery who was in our small town visiting an acquaintance and maintaining his rather vigorous running program. He came out on a few other occasions prior to the start of the Giants camp and we managed to schedule a number of hard training sessions. Our group of “lifting guys” followed his every move with the Giants, even as we played at different colleges and we were pleased to see Avery win a starting position despite his low draft status. Even in 1968 when the Giants brought in linebacking help in the form of Vince Costello and Tommy Joe Crutcher, Ken Avery was still a starter. Entering 1969 there were changes for Avery and for his former defensive coach P.W. Underwood. Southern Miss head coach “Pie” Vann, who had been at the helm of the Eagles program since 1949, decided it was time to step down. His popular replacement was Underwood who returned from the University Of Tennessee and remained as USM head coach through the 1974 season. Avery went to the Bengals, joining them in ’69 and playing through the 1974 season. as were the other aspects of the uniform. On the home black jersey, the orange sleeve stripe was surrounded by two white stripes and all of them were slightly separated so that there was a ribbon of black between each individual stripe. The white away jersey featured a center orange stripe surrounded by two black stripes and again, due to the slight separation of the three stripes from each other, there was a ribbon of white that appeared between each of them. The so-called “cold weather jersey”, a heavy durene jersey that featured longer sleeves than their standard model, was used during games where the players had to endure inclement weather. Due to an error made by the manufacturer, the sleeve stripes on the cold weather jersey were contiguous with each other, matching the striping on the Bengals’ socks and pants which also showed no separation of the stripes. The organization never corrected this and until there was a wholesale uniform change entering the 1980 season, the cold weather jerseys remained a source of enjoyable trivia for all Bengals fans, with the difference in the sleeve stripes a stimulus for conversation. 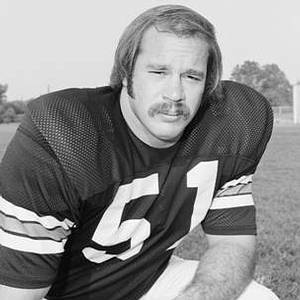 Ken Avery was a solid player, reliable and versatile though never a star and never reaching the status of other Bengals linebackers of the same era such as Bill Bergey and Ron Pritchard. He completed his career with the Kansas City Chiefs in 1975 then retired to a successful business career.